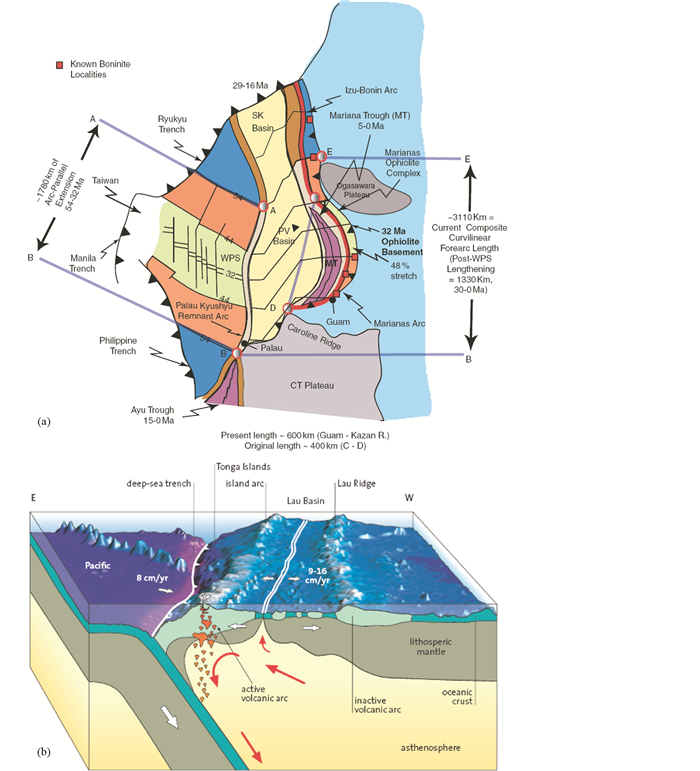 Abstract: According to the theory of plate tectonics, plate boundary is the locus of the various geological processes shaping our Earth, and thus the focus of the modern geology. It is generally accepted that the plate boundaries can be divided into three types, i.e., divergent (mid-oceanic ridge), convergent (subduction and collision zones), and strike-slip (transform fault). As for the convergent boundary, it can be further subdivided into intra-oceanic arc by oceanic-oceanic subduction, Andean continental arc by oceanic-continental subduction, and collisional belt by continental-continental collision. The intra-oceanic arc is relatively less studied compared to other types of convergent boundary. Traditionally, the Japanese islands were thought as an intra-oceanic arc, but this point of view is not hold anymore since it was found that they are fragments from the Asian continental margin. According to the available investigations, intra-oceanic arcs are mostly located along the western Pacific Ocean, represented by the Izu-Bonin-Mariana arc between the Pacific and Philippine plates, and the southwestern (SW) Pacific arc between the Pacific and Australian plates. The most important topic for the study of the intra-oceanic arc is that how subduction was initiated between oceanic-oceanic plates. It is mostly thought that the transform fault can make contact of the different aged oceanic plates, and subsequently in this case that the older and dense lithosphere can underthrust beneath the younger and less-dense plate, which is also ascribed as "Subduction Initial Rule-SIR". However, no actual example was found to date on the Earth for the situation described above, and moreover, it is hard to understand that the intra-oceanic arcs are extensively developed in SW Pacific, although the transform faults occurs everywhere in the seafloor. Data compilation indicates that the above intra-oceanic arcs are in fact continental relics rifted from the Australian continent. 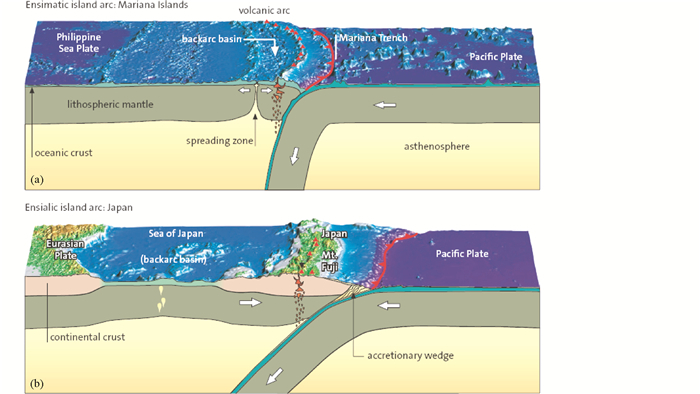 The subduction of the old and dense Pacific plate resulted in formation of the continental arc and associated back-arc basin, and the spreading within the back-arc basin then rifted the arc and made it evolved toward oceanic lithosphere. Therefore, the oceanic-oceanic subduction is not valid theoretically, and not documented in the geological records either. 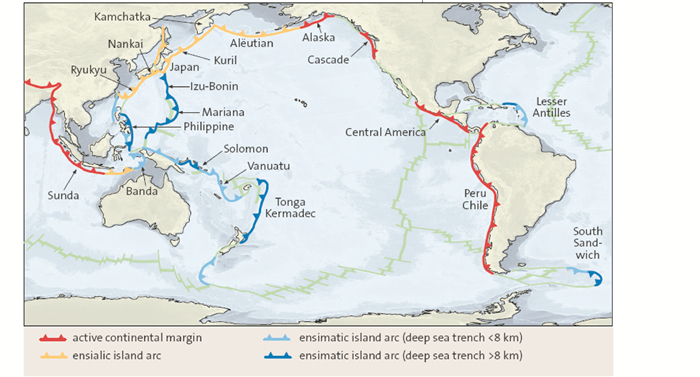 However, in the Caribbean, Scotia and Aleutian areas, the intra-oceanic arcs were formed by subduction jump and polarity reverse due to subduction of oceanic plateau. Whatever, the spontaneous initial subduction model needs further geological data to be verified. Adams CJ and Griffin WL. 2012. Rodinian detrital zircons in Late Cretaceous sandstones indicate a possible Precambrian basement under southern Zealandia. Precambrian Research, 212-213: 13-20. Cluzel D, Maurizot P, Collot J and Sevin B. 2012. An outline of the Geology of New Caledonia from Permian-Mesozoic Southeast Gondwanaland active margin to Cenozoic obduction and supergene evolution. Episodes, 35(1): 72-86. Crawford AJ, Falloon TJ and Green DH. 1989. Classification, petrogenesis and tectonic setting of boninitesIn:Crawford AJ (ed.). Boninites.. London: Unwin Hyman: 1-49. Dewey JF and Casey JF. 2011. The origin of obducted large-slab ophiolite complexes.In:Brown D and Ryan PD (eds.). Arc-Continent Collision. Berlin Heidelberg: Springer: 431-444. Frisch W, Meschede M and Blakey RC. 2011. Plate Tectonics:Continental Drift and Mountain Building. Berlin Heidelberg: Springer: 1-212. Gerya TV. 2011b. Intra-oceanic subduction zones.In:Brown D and Ryan PD (eds.). Arc-Continent Collision.. Berlin Heidelberg: Springer: 23-51. Hopson CA, Mattinson JM, Pessagno EA Jr and Luyendyk BP. 2008. California Coast Range ophiolite:Composite Middle and Late Jurassic oceanic lithosphere.In:Wright JE and Shervais JW (eds.). Ophiolites, Arcs, and Batholiths:A Tribute to Cliff Hopson.. Special Paper of the Geological Society of America, 438: 1-101. Jagoutz O and Schmidt MW. 2012. 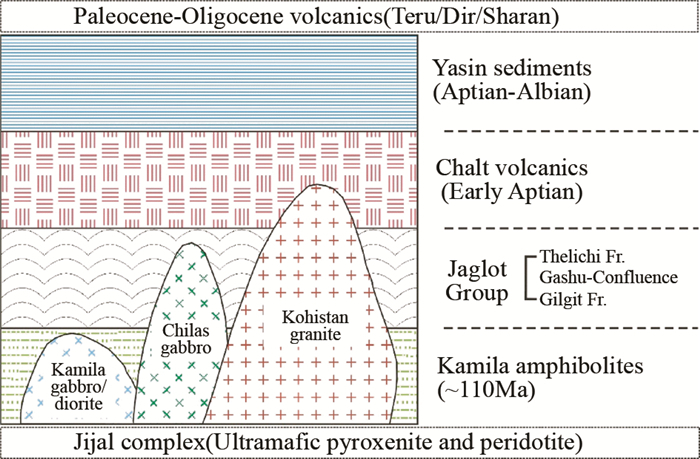 The formation and bulk composition of modern juvenile continental crust:The Kohistan arc. Chemical Geology, 298-299: 79-96. Kerr AC, White RV, Thompson PME, Tarney J and Saunders AD. 2003. No oceanic plateau-No Caribbean Plate? 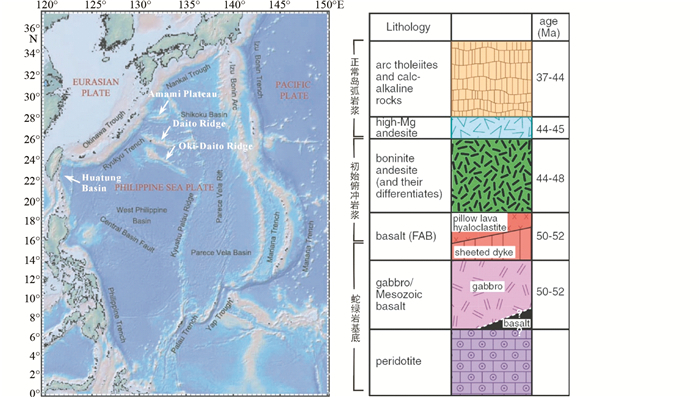 The seminal role of an oceanic plateau in Caribbean Plate evolution.In:Bartolini C, Buffler RT and Blickwede JF (eds.). The Circum-Gulf of Mexico and the Caribbean:Hydrocarbon Habitats, Basin Formation, and Plate Tectonics. Tulsa:American Association of Petroleum Geologists Memoir, 79: 126-168. Maffione M, Thieulot C, van Hinsbergen DJJ, Morris A, Plümper O and Spakman W. 2015. Dynamics of intraoceanic subduction initiation:1. Oceanic detachment fault inversion and the formation of supra-subduction zone ophiolites. Geochemistry, Geophysics, Geosystems, 16(6): 1753-1770. Mortimer N, Campbell HJ, Tulloch AJ, King PR, Stagpoole VM, Wood RA, Rattenbury MS, Sutherland R, Adams CJ, Collot J and Seton M. 2017. Zealandia:Earth's hidden continent. GSA Today, 27(3): 27-35. Pearce JA. 2003. Supra-subduction zone ophiolites:The search for modern analogues.In:Dilek Y and Newcomb S (eds.). Ophiolite Concept and the Evolution of Geological Thought. Geological Society of America Special Paper, 373: 269-293. Pindell JL and Kennan L. 2009. Tectonic evolution of the Gulf of Mexico, Caribbean and northern South America in the mantle reference frame:An update. In:James K, Antonieta-Lorente MA and Pindell J (eds.). The Geology and Evolution of the Region between North and South America.. Geological Society, London, Special Publications, 328: 1-55. Regenauer-Lieb K, Yuen DA and Branlund J. 2001. The initiation of subduction:Criticality by addition of water?. Science, 5542: 578-581. Spandler C and Pirard C. 2013. Element recycling from subducting slabs to arc crust:A review. Lithos: 170-223. Stern RJ. 2010. The anatomy and ontogeny of modern intra-oceanic arc systems. In:Kusky TM, Zhai MG and Xiao WJ (eds.). The Evolving Continents:Understanding Processes of Continental Growth. Geological Society, London, Special Publications, 338: 7-34. Taira A and Ogawa Y. 1991. Cretaceous to Holocene forearc evolution in Japan and its implication to crustal dynamics. Episodes, 14(3): 205-212. Tatsumi Y and Eggins S. 1995. Subduction Zone Magmatism. Boston: Blackwell Science: 1-211.